I always feel awkward about including a hot dog recipe in a cookbook. 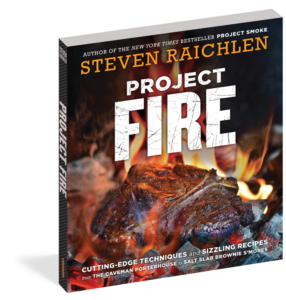 After all, hot dogs are the first food most of us grilled, and you don’t need a cookbook to show you how. What special technique could I possibly bring to a food that’s essentially ready to eat when it comes out of the package? Hedgehogging dramatically increases the ratio of crisp smoky crust to center meat. 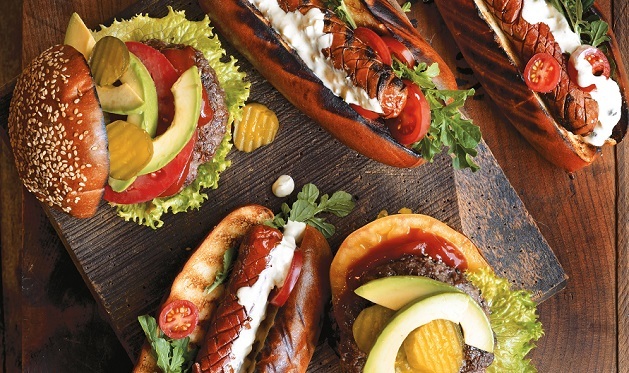 Tip o’ the hat to Russ Faulk of Kalamazoo Outdoor Gourmet for this singular scoring technique and the idea of grilling the hot dog buns with mayonnaise and remoulade sauce. He calls his version a “Po’ Dog.” Amen. 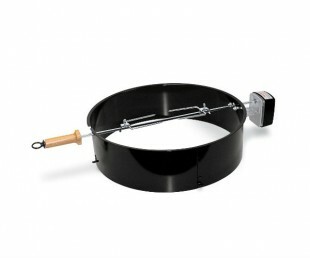 Equipment: Can be grilled over charcoal, wood, or gas. Step 2: Slather the cut insides of the rolls with mayonnaise. Step 3: Set up your grill for direct grilling and heat to high. Brush or scrape the grill grate clean and oil it well. Arrange the hot dogs on the grate. Grill until the exterior is sizzling, crisp, and browned, about 2 minutes per side, 6 to 8 minutes in all. While you’re at it, grill the mayonnaise-slathered rolls until toasted, 1 minute per side. Step 4: Slather the rolls with Creole Mustard Sauce. Add the hot dogs, baby arugula, and tomato slices, and any other condiment you may fancy. This may be the best hot dog you’ve ever tasted. These hot dogs use a technique called “hedgehogging,” in which you score the surface of the hot dogs in a crosshatch pattern. The edges puff and char during grilling, giving you an exceptionally crusty exterior and adding more wood smoke flavor. They also look cool as all get-out. SHOP: Lots of options for hot dogs here. Wagyu beef dogs (available from Snake River Farms) if you’re feeling extravagant. Applegate if you want a natural nitrite-free hot dog. Hebrew National if you like the salty tang of tradition.